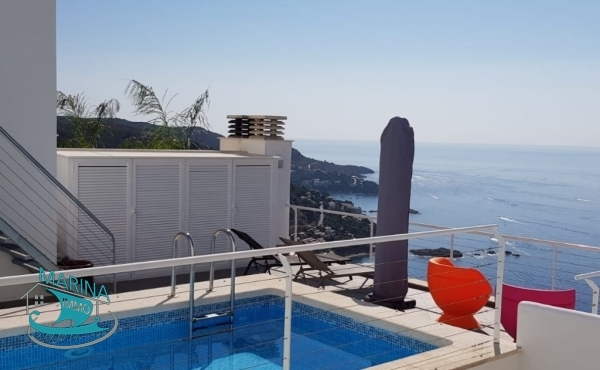 This villa is located 5 minutes from the sea exit It consists of a living room - dining room, 1 fully equipped kitchen, 1 double bedroom, 1 bedroom with its own bathroom and toilet, 1 independent .. 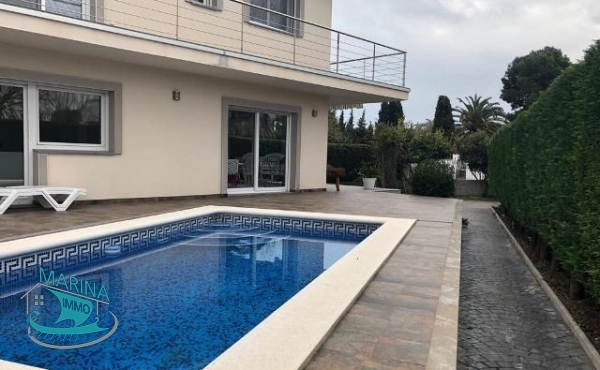 This house is located in 2nd line of Empuriabrava sea with 2 moorings for sailboat. It is divided into 3 apartments: living room - dining room, kitchen, 4 bedrooms, 4 bathrooms with wc, terrace canal view and .. Exceptional and modern house with breathtaking views of the bay of Roses. Well, the car parks are located at the street level, an elevator or a staircase leads down to the 1st level which gives .. 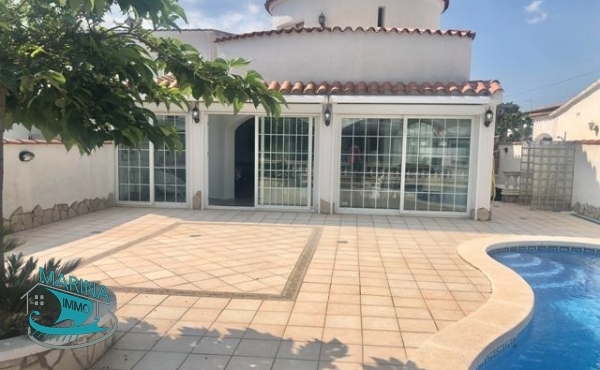 This single storey house is located on the wide canal with a mooring of 12.5m It consists of a living room - dining room, 1 fully equipped kitchen, 3 bedrooms, 2 bathrooms with wc, terrace, garden Extra's: ..